One of the contracts, worth $1.2 million in federal funding, will help illuminate the health impacts of roadway lighting on drivers, pedestrians, and residences that experience light trespass, such as a house located beside a major highway. Ronald Gibbons, director of the institute’s Center for Infrastructure-Based Safety Systems, will lead the research. “We are very excited to be part of this important research with our partners from Thomas Jefferson University and look forward to providing data-based insight into the conversion of outdoor lighting systems to solid-state lighting,” said Gibbons. Solid-state lighting uses semiconductor light-emitting diodes, or LEDs. The institute’s contract is one of seven awarded by the Energy Department to help accelerate the development of high-quality LEDs and organic LEDs that, according to the department, use less electricity and could reduce energy costs for families and businesses. Another contract for $1.5 million will fund the development of a fuel-efficient system of automation called Eco-Cooperative Automated Control. The project will be led by Hesham Rakha, director of the transportation institute’s Center for Sustainable Mobility. The Eco-Cooperative Automated Control system will integrate vehicle dynamics control — a standard car feature that monitors a driver’s steering and braking actions — with connected- and automated-vehicle designs. Ultimately, the goal is to reduce energy and fuel consumption for a variety of car types, including internal combustion engine, battery-only, plug-in hybrid electric, and hybrid electric vehicles. “Based on preliminary evaluations, our research team expects to produce energy and fuel savings of at least 20 percent among various vehicle types. We believe this has the potential to improve transportation networks significantly in terms of traffic mobility, reducing their carbon footprint, and driver safety,” said Rakha. 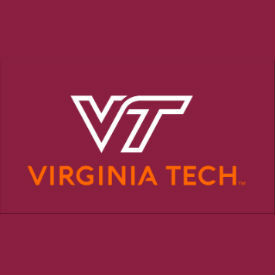 The Virginia Tech Transportation Institute has more than $37 million in annual sponsored program research expenditures in service of science that directly addresses transportation challenges through innovation.